Sorry Oxbridge – It’s Getting Boring and You Are Guilty of Hypocrisy! Reading David Lammy’s report, “Seven years has changed nothing at Oxbridge. In fact, diversity is even worse” has finally convinced me that you have to try something drastically different in your admissions processes and that his work should be regarded as a watershed rather than finding flaws in his arguments. I’m not going to repeat anything from Lammy’s report on what’s going wrong, but I will briefly recap the things that matter in the Oxford and Cambridge Admissions process! Then I will make my own case for why Oxford and Cambridge Colleges are guilty of hypocrisy. And I’m not coming to this as someone who bears a grudge against the Oxford and Cambridge Universities admissions staff. Admissions staff at these universities are genuinely nice and helpful people, trying their best in a system that they can’t seem to change internally. I’m personally ambivalent about getting into Oxbridge colleges. As a professionally qualified Careers Adviser, I think it is ethically wrong to think this is a more important route than someone wanting to do an apprenticeship or go to other universities. I came to write the GRIST framework, which helps applicants prepare for the Oxbridge Admissions process, as a Careers Adviser trying to deconstruct the Oxbridge Admissions process and debunk the whole industry that surrounds this issue for my school students. Understanding that wider reading away from syllabus is essential in arts, humanities, social sciences subjects. More stretching work for maths and Sciences. Not about learning knowledge and regurgitating it. The interview is essentially an “exam out loud”. 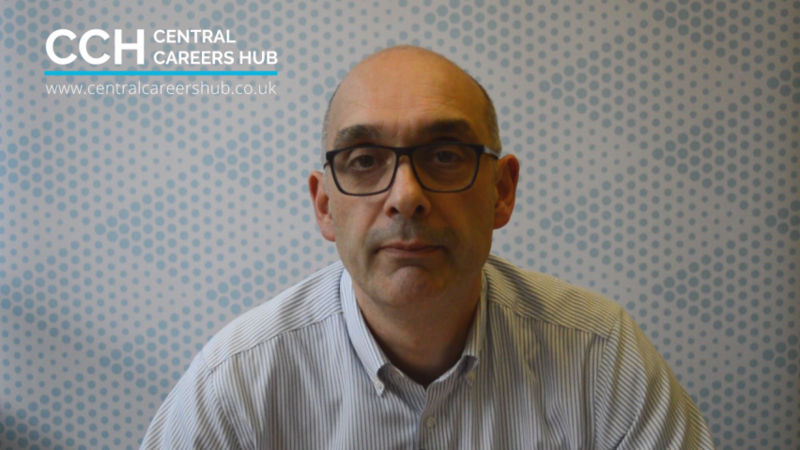 Having mock interviews and setting up a system to make them happen, are essential here so that the potential applicant realises what will be in store. Not so much about your personal statement. More about having an obsessive/love/nerdy interest in what you are applying for. Preparation for tests is not about regurgitating knowledge but “learning through doing” and becoming aware of what the tests will ask from you. Practising the tests can help with reducing stress levels because you know roughly what to expect. Now think about attempting to go through this without social, cultural and school support on top of trying to get really high grades! We have systems for this preparation in my schools and they do help. Clearly, they are not being universally applied nationally, and I can see that there are many barriers for someone from my hometown of Portsmouth even getting to the 3 A’s at A Levels stage (actually you need to be A*AA/A*A*A), compared with many of the students I can be working with now in London. To be fair, this is an admissions process that is more broad-ranging than other selective universities, which just use grades and personal statements, and occupational psychologists will often say that the wider range of testing you do, the better the quality of successful applicant. It is a reasonable process for a subset of the school leaver population who are “in the house”*. If you are not “in the house” you might as well forget it. So why the charge of hypocrisy? If you ever meet staff from Oxford and Cambridge Universities, they relentlessly say that the uniqueness of their courses and research comes from their ability to question, to analyse, to challenge assumptions and to relentlessly interrogate the safe or traditional path. My charge is that they are not applying this uniqueness to admissions**. If they had applied the same intellectual rigour that they would normally use in their courses and research, to admissions, they would have had a control group (say half of their colleges using the old admissions system) and a new system (for the other half) where (for example) applicants can only apply after they have received their A Level results with A*A*A/A*AA required normally and AAA/B if on free school meals/location criteria, and then successful applicants are drawn by lottery. No other information would be required! In this half of colleges all courses are 4 years with an exploratory year at the start (just like the Scottish system), to help choose the specialist subject and get acclimatised to the tutorial/supervision system. Experiment to run for 5 years and the two groups to be compared. I’m sure my ideas will be regarded as ludicrous, but something needs to change. For me as a Careers Adviser this endless Oxbridge debate is getting incredibly tedious and Lammy’s work is a welcome boil-lancing exercise. I’m absolutely certain admissions staff at Oxford and Cambridge will have explored this sort of option, but logistical issues, the Daily Telegraph, existing relationships and funding will have got in the way. If Oxford and Cambridge Universities were researching a new lithium battery, and whatever they did wasn’t yielding good enough results, they wouldn’t endlessly and pointlessly try to tweak the research. They might keep some staff on the existing Lithium battery research and have some trying something new or move all staff onto something different. Oxford and Cambridge Universities, you are not practising what you preach. I still think you are fantastic, wondrous universities and for certain passionate/obsessive students totally the right place. But, because you are not applying the same intellectual rigour to admissions as you would apply to your teaching and research, Oxford and Cambridge Universities and Colleges, on the question of being guilty of hypocrisy? In my view, guilty as charged! *In the House – right family, right school, right class, right location or wrong etc………. As a careers adviser who has been through the Cambridge admissions system (I matriculated at Trinity College in 2010), as well as guiding many young people through it I have to say I am also fed up. Fed up with the constant and unwarranted negative press and rhetoric aimed at Oxbridge. The vast majority of such articles are either written from a point of ignorance (i.e. someone who has not experienced both the admissions system and the university first hand) or from bitterness (former applicants who failed to gain entry and who have a chip on their shoulder); these articles do not take into account the benefits of the application system or the differences of an Oxbridge education which warrant such a system. These articles also squarely aim their vitriol at Oxbridge and completely ignore other exclusive institutions which high grade requirements and interview systems (such as LSE or Imperial- just as competitive as Oxbridge and with virtually identical entrance criteria). The suggestion of post-result applications is a sensible one, as this would help both the universities and the students, however our current system does not allow for this so we will have to work with what we have got. The idea that anyone with the necessary A*A*A/A*AA grades should be put into a ballot and then drawn at random is ludicrous and undermines the entire point of Oxbridge which is to look at individuals and assess their talent and potential. To remove the interview part of the process would mean the entire selection procedure rested on a few grades on a piece of paper- far less egalitarian than its supporters would like to have you believe! As we all know from our experience of the school system not all students are the same. Some will really struggle to achieve their A*AA grades and others will find this comes with relative ease. Others will get their A*AA, only with help from tutors, extra lessons and intervention from their school (and this will not just apply to those privately educated), whilst there will be some who overcome difficult circumstances and teaching to achieve AAA. The interview process (particularly at Cambridge who interview the majority of applicants) is there to ensure that no one is unduly dismissed or accepted based purely on grades, and that those they do accept have the capacity to cope with the rigours of the Oxbridge system. Oxbridge do not want the students who had to really struggle and who needed hours of extra tuition to get their A Level grades, they want those who can cope academically and who have the capacity to be pushed further- not those who have reached their academic peak. The Oxbridge system is hard, harder than the majority of other universities. Your college and tutors expect a lot from you and you will be working much harder than you did at A Level. As a result the admissions tutors want to know they have selected someone with potential, someone who will thrive in this setting, not someone who will struggle. There is a reason Oxbridge has some of the lowest drop-out rates in higher education- their selection system works very well. Interviews are also of benefit to those from less advantaged backgrounds, I know this sounds counter-intuitive and goes against most of the comments in the mainstream media, but think about it. You have come from a less wealthy or academic background- on paper you are just your grades and some contextual data. Your personal statement may not shine as your school may not have the know-how to support you in it, so on paper you don’t necessarily stand out. Interview is your opportunity to shine, if you have the drive and the ambition for Oxbridge this will come across at interview. They are not looking for polished applicants, they won’t mind if your interview style is somewhat rustic, what they will see is that you really love your subject, that you have overcome a lot to get there and that you will be an asset to their college. We need to stop implying that Oxbridge is a biased, hypocritical system suitable only for the elite. The more articles there are out there the more students from disadvantaged background will be put off applying. We need to be telling students that as long as they have the drive, subject passion and academic potential then there is no reason not to apply. If we start boiling it down to only being worth the grades on a sheet of paper then we will miss out on those who do not feel their academic record is strong enough. The levels of negativity aimed at Oxbridge in the media never cease to astound me, these are our top institutions- world renowned centres of education and research, yet we constantly find fault with them and actively try to discredit them. We should be celebrating our academic institutions and both their history and legacy. We need to be encouraging students from all walks of life to aspire to these if that is something they want, rather than implying that it’s not for them, or that the system is broken or weighted against them. Oxbridge represents equality- they judge students purely on their academic merit and potential. The system does not need to be changed, society’s attitudes do. Oxbridge hater. They are really are nice genuine people. It’s just the lack of willingness to try something radically different and then compare with existing systems. “8 out 10 Cat owners prefer Whiskas”, to what? There are deserts of Oxbridge applications in terms of location and carrying on with the same-old methods in my view is no longer acceptable. It could be that people who come in through a different system are unable to cope, but until that is tried we will never know. Thanks once again for your comments, most welcome. Good points as per Andy. Cambridge seems a bit further behind than Oxford, as it is less well coordinated. As ever the individuals within the system want to work for fairness, but outcomes for state vs independent pupils are diverging so fast (largely because of government education policy), that it’s hard for Cambridge admissions staff to keep up with countering that trend. But if the Cambridge colleges, faculties, depts, etc and main admissions, outreach, etc leaders could co-ordinate and drive through some bold decisions, then a Cambridge-wide change could prove the university’s genuine commitment to innovation and evidence-based policy, and therefore to being genuinely world-leading. Thanks Lizzie. I’m sure my thoughts are not new to Oxbridge Admissions staff. It’s now 17 years since Laura Spence and the data for certain parts of the UK are appalling. Can we just try something different, please!